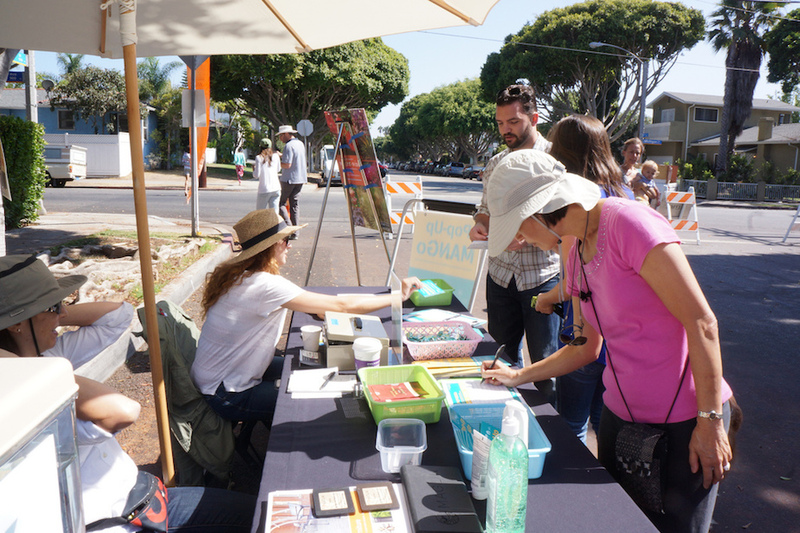 The City of Santa Monica and Melendrez - Los Angeles-based urban designers – along with help fromCommunity Arts Resources, brought the idea of pilot and pop-up, tactical urbanism into the planning process, with a festival/workshop/installation called Pop-Up MANGo, the first event of its kind in the region. 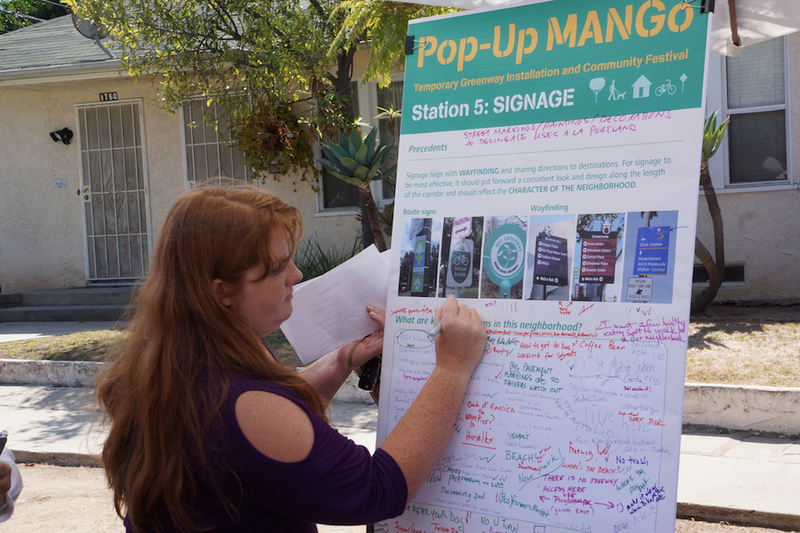 Pop-Up MANGo gave citizens an opportunity to see and evaluate public realm improvements during the planning process, hands-on. 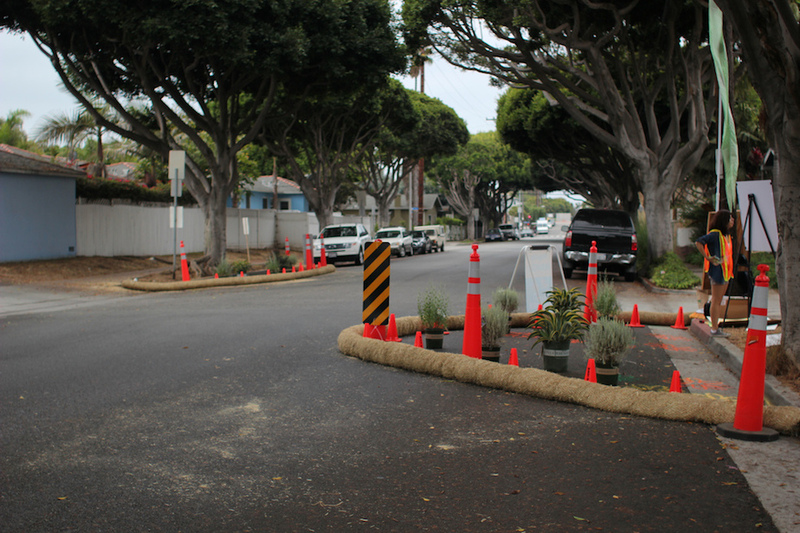 Pop-Up MANGo – named after the Michigan Avenue Neighborhood Greenway- showcased temporary installations of possible improvements for a new Greenway corridor such as: traffic calming devices, traffic circles, chicanes, curb extensions, enhanced landscaping, mini-parks, and places for neighbors to gather.